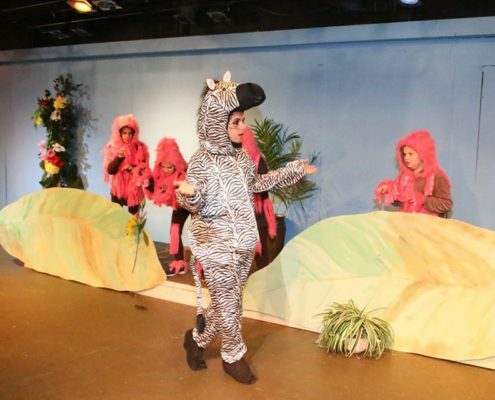 The McKeesport Little Theater Juniors program runs from September through June each year. Classes are for children in grades 5 through 12. They meet each Thursday evening from 7:00 PM until 8:30 PM unless they are rehearsing for a show. When they are rehearsing for a show there will be additional evening rehearsals and will run from 7:00 until 9:00 PM. Parents are required to attend the first class. They are also encouraged to stay for each class and help out with each show. We need the parents help with costumes, painting the set, etc. Cost for the class for the year is $50.00 plus a required $5.00 fee for a Junior Membership to the theater for a total of $50.00. If you wish to become a member of the Juniors please call the theater (412-673-1100) and leave a message for Dorothy Fallows. Include your phone number and she will call you to arrange a time for an interview and an audition with you.